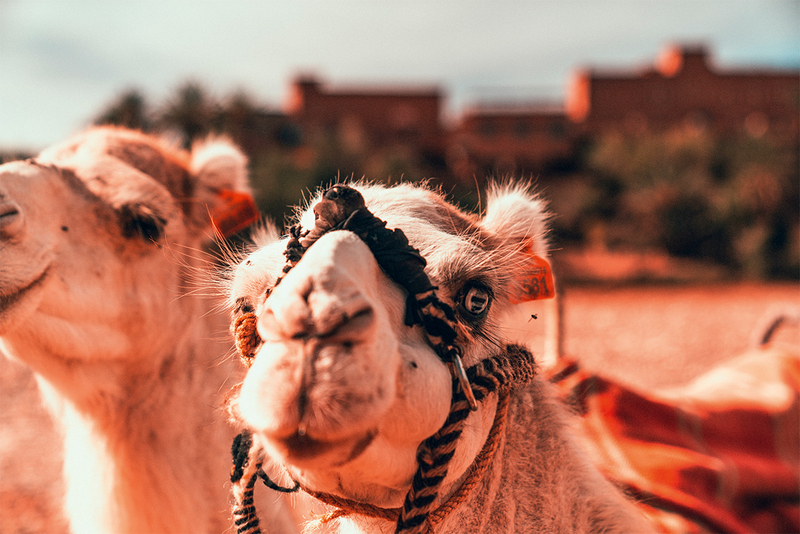 Thirty-five hours travelling time to drive across the red sand dunes of the Sahara Desert may be a bridge too far for many people, but as a detour on your way home from Europe, it could well be the highlight of your trip. We Australians are accustomed to long haul air travel. But eavesdropping on the queues of German, French and Italian tourists in Marrakesh airport, all we could hear were complaints about having to fly for three and a half or four hours. If only! 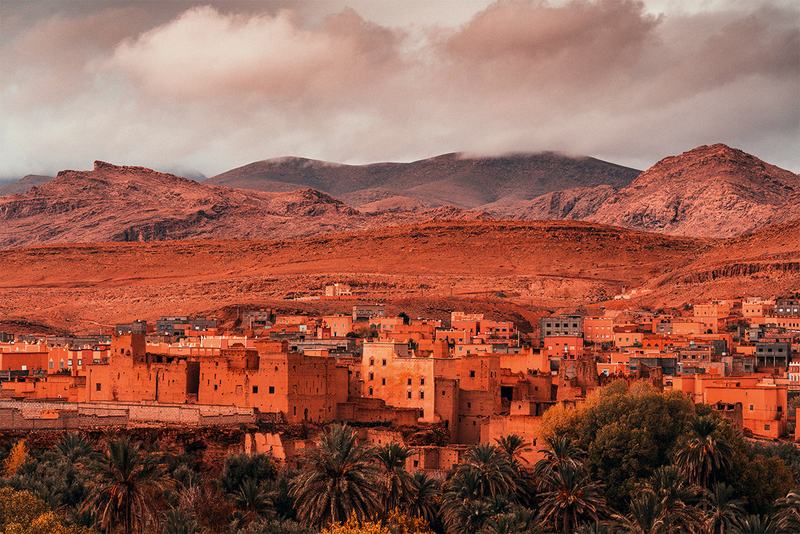 Morocco isn’t necessarily at the top of most Australians’ travel wish list, but European tourists flock there for the food, the culture, the architecture and, yes, driving across the desert. 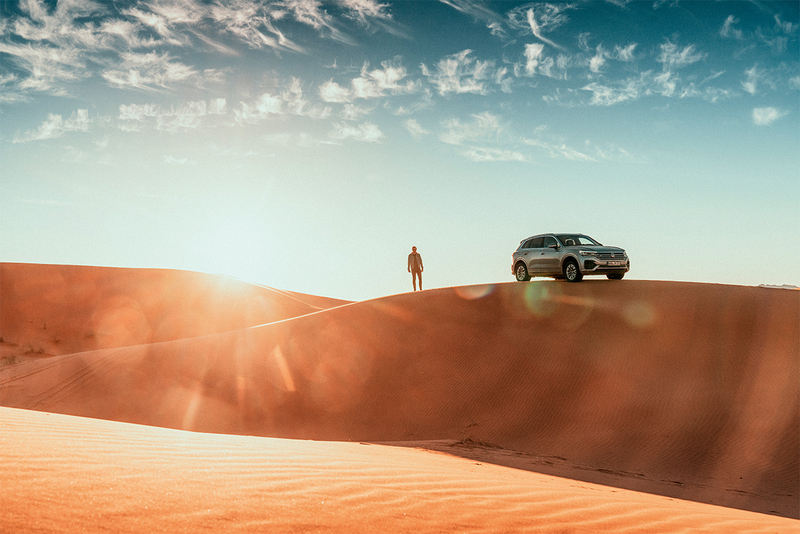 From desert dunes to mountain snow, SALIFE motoring writer Paul Murrell embarked on a 1300-kilometre trek across Morocco’s vast and varied landscape in the new Volkswagen Touareg. 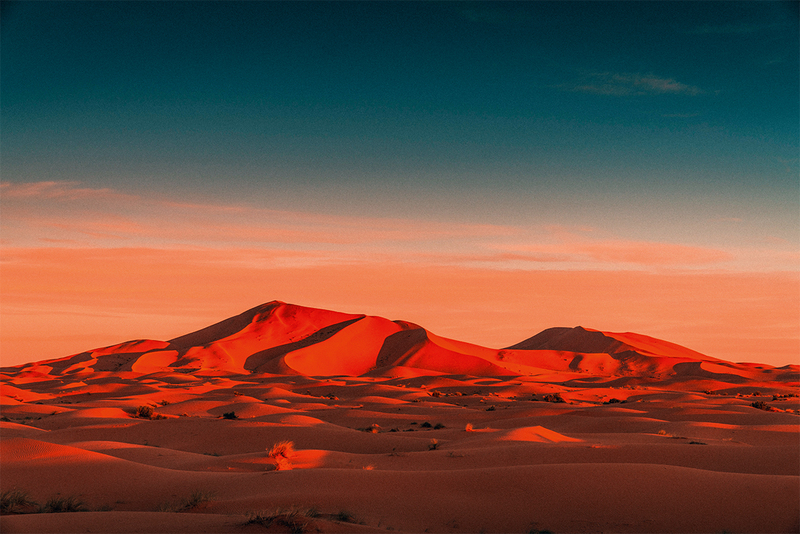 The vivid colours of the Moroccan sky illuminate the giant sand hills of the Sahara desert. We were dropping in to sample Volkswagen’s new Touareg SUV, but the charms of Morocco were a definite bonus. The new Touareg will arrive in Australia in May to tackle the other luxury SUVs, and since it’s built on the same platform as the Audi Q7, Porsche Cayenne, Bentley Bentayga and the upcoming Lamborghini Urus, it should have the DNA to make a good job of it. We are greeted at Marrakesh airport by the welcoming smiles of our guides, the very capable VW Drive Experience team (and two gentlemen from Mali who inexplicably attach themselves to our group until they are politely informed that it’s “by invitation only”). 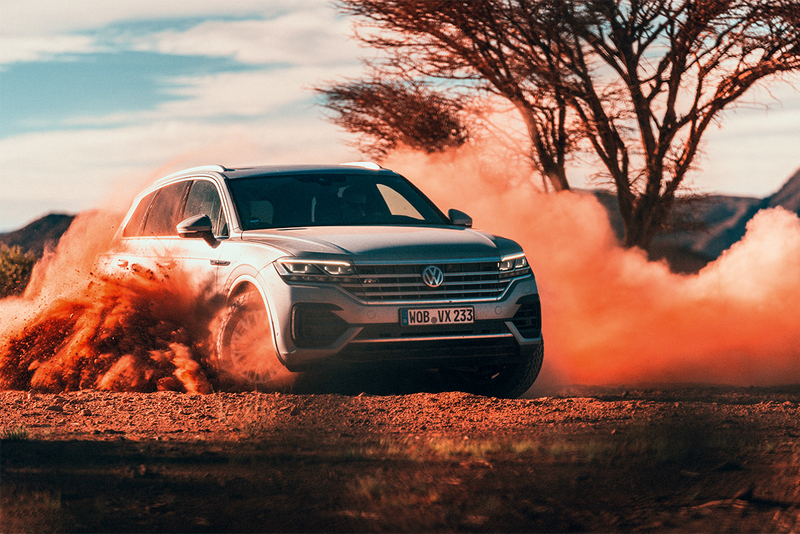 The VW Drive Experience through Morocco is one of the many experiences they offer around the world and gives us a real opportunity to see just how capable the new Touareg is in very varied conditions. 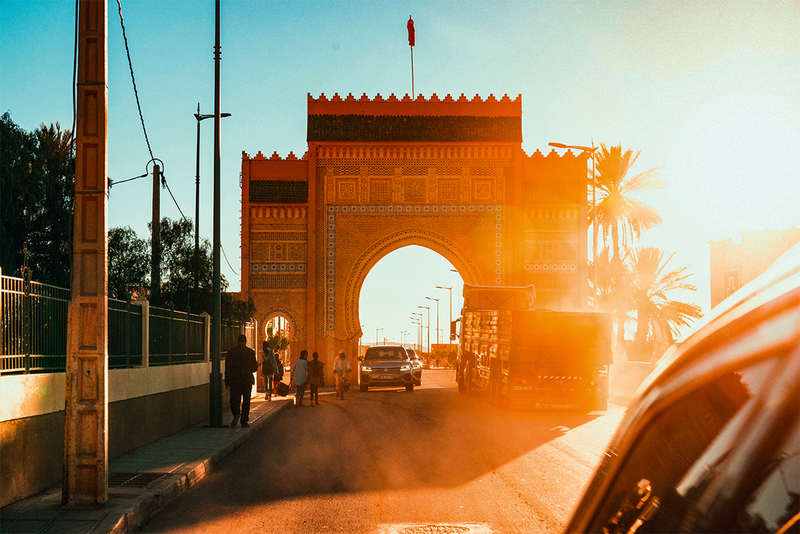 We set out from Marrakesh before sunrise covering the 588 kilometres to Merzouga and the edge of nine million square kilometres of Sahara Desert. Once clear of the chaotic city traffic, we join the even-more chaotic traffic on the road up the Atlas Mountains, reputedly one of the ten most dangerous in the world (and the location for Tom Cruise’s hair-raising motorbike chase in Mission Impossible: Rogue Nation). The risk factor is heightened by seemingly endless roadworks, ominous, unprotected drops off to the side, lake-sized puddles and some precariously overloaded vehicles. Eerily, the local costume is a cape with a pointed hood; as we come around a blind bend, one of these locals, dressed entirely in black, is holding a crook and herding his goats. He bears an uncanny resemblance to the Grim Reaper, a character no doubt a regular visitor to this high fatality stretch of road. Volkswagon Touareg drivers were urged to “gas it” to get over the sand hills. 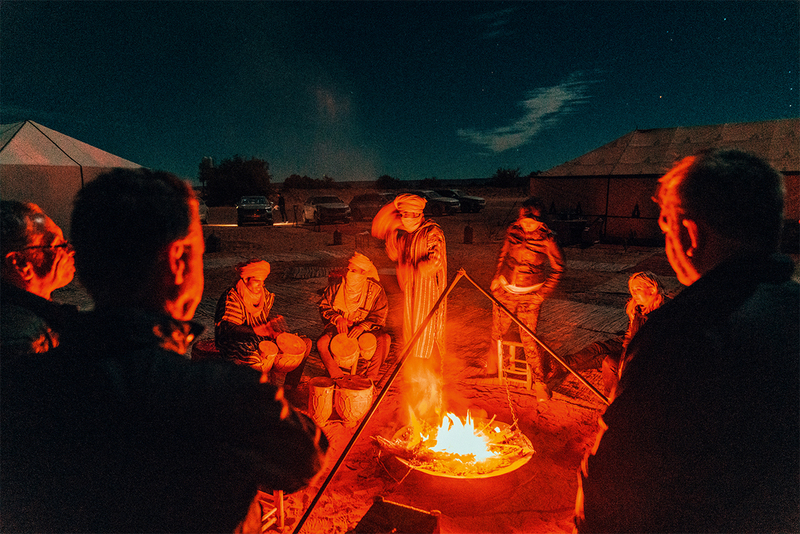 Drivers negotiate the desert and discuss their travels over a campfire. As we near the summit, conditions change again and we have to cope with ice on the road and piles of grey, unmelted snow. Yes, snow in Morocco! The scenery is breathtaking, when we get a chance to look at it, with numerous bustling, terracotta-coloured towns, stunning, snow-capped mountains and precipitous valleys. Our convoy of 210kW Touaregs handles the broken tarmac and steep climb with ease, offering plenty of power for safe overtaking and reassuringly strong braking when oncoming traffic decides to use “our” side of the road. And the luxurious interior thankfully isolates us from the madness beyond the windscreen. After a night under canvas near Erg Chebbi, we drop the tyre pressures to one bar and pay close attention to a comprehensive briefing by our German instructor, Weilo. It takes a moment before we realise his instructions about “driving in the wellies” refers to “valleys”, not rubber footwear. Then we set out into the desert on sand that’s so soft and fine it’s difficult to walk on, let alone drive across. After a few only moderately challenging dunes to get a feel for driving on sand, we tackle a huge dune, with Weilo urging us to “Gas it! Gas it!” All of us make it to the top, although for some, it takes a couple of attempts, more driver error than any shortcoming on the part of the Touaregs. From our elevated vantage point, we can see the border with Algeria, and far below, the other Touaregs look like toys. After a day to cover just 65 kilometres, we bed down for the night in a traditional Moroccan riad called Ksar Bicha, sharing the parking lot with Russian trucks and support crews in training for the Paris-Dakar rally. They are as interested in our Volkswagens as we are in their very specialised trucks. The world heritage listed fortified village of Ait-Benhaddou. Camels are another mode of transport for getting around Morocco, while the Volkswagon convoy passes through the gateway to holy town of Rissani. Day three sees us driving through rain (apologies to the local I unintentionally drenched when forced into a large puddle by oncoming traffic) and head for Boumalne Dades, tracking our own progress on the huge 15.3-inch touchscreen and streaming some soothing jazz, courtesy of the in-car Wi-Fi. Under picture-perfect blue skies, we put some rapid kilometres under our wheels as we cross the Dades Valley, a broad expanse of rolling, countryside and vast horizons. We spend the night in the Xaludes Dades Hotel, crowded with off-road motorcyclists and chattering tourists. Despite the mileages we are clocking up, (the driving is shared by two in each vehicle), we end each day relaxed and unstressed, a testament to the Touareg’s abilities and comfort. The final day sets another test for the Touareg and drivers by taking us along a rocky riverbed to the UNESCO world heritage listed fortified village of Ait-Benhaddou, with the adaptive air suspension raised to clear the many suitcase-sized rocks. As a further test of vehicle and driver, we continue the long way round to Tizi-n-Tichka Pass, warily eyeing the many gaps in the fencing where less cautious drivers have come to grief, before retracing our path through the Atlas Mountains back to Marrakech. It has been a unique visit but so much more than a driving experience: we have seen more of the country than most tourists. 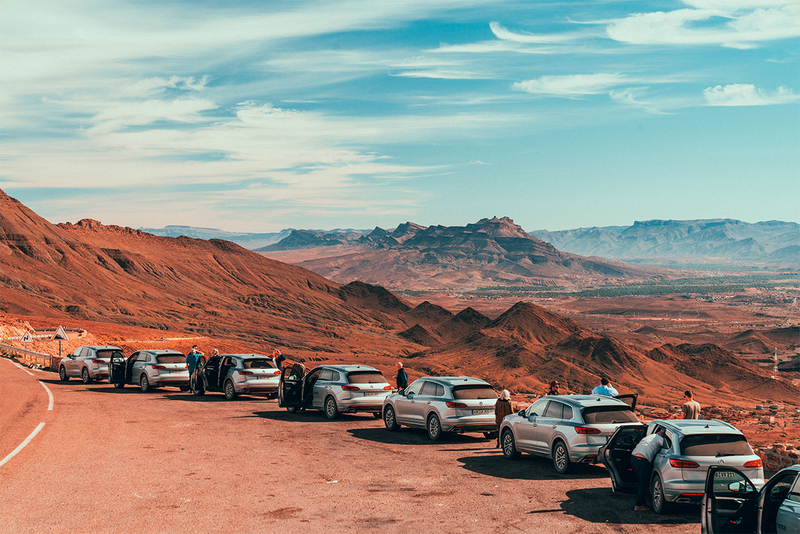 Yes, we were impressed by the new VW Touareg, but we were even more impressed by its spiritual homeland, Morocco. The VW Drive Experience to Morocco is open to the public and costs €3290 (plus 19 per cent VAT) for six days, including use of the VW Touaregs, accommodation, guides and instructors and most meals (full details can be found at volkswagen-driving-experience.de/en/tours).